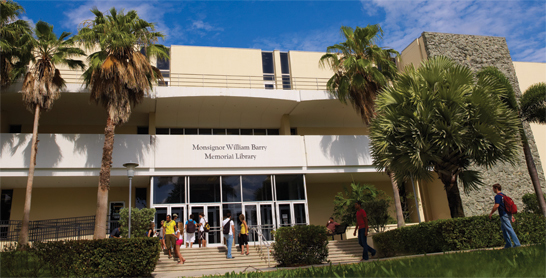 Barry University's Monsignor William Barry Memorial Library - Welcome ! Every Barry University School or Academic Department has a Librarian Liaison who oversees the Collection Development in their corresponding subject area. Librarian Liaisons also teach Library Instruction sessions tailored to present research strategies and resources on subject areas and class assignments.